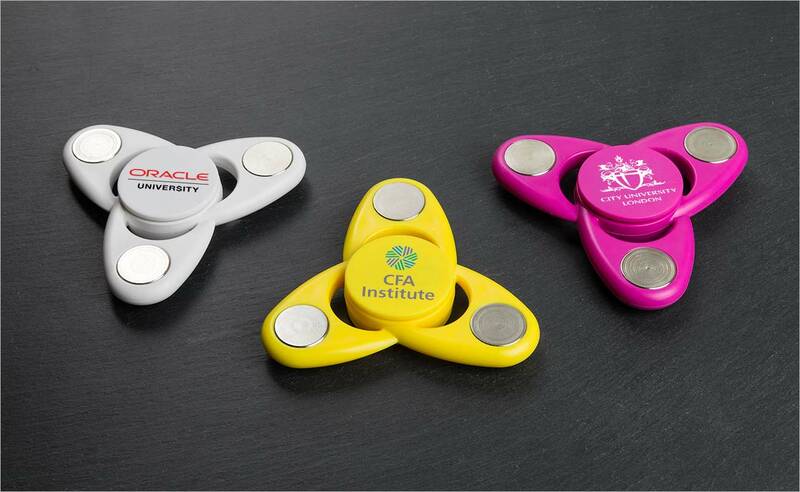 1) From a branding perspective, the Spinners are an ideal promotional giveaway at events and functions – their hypnotic nature ensures your clients, particularly the younger generations, will repeatedly use them, and thus recurrently showcase your institution’s logo, website address slogan and more. 2) Additionally, Fidget Spinners have been credited with helping children and students increase their attention and focus, with the Spinner diffusing tendencies for exuberant and over-active behaviour by creating a calming effect. The silent and persistent motion is said by some to reduce anxiety and increase tactile responsiveness. 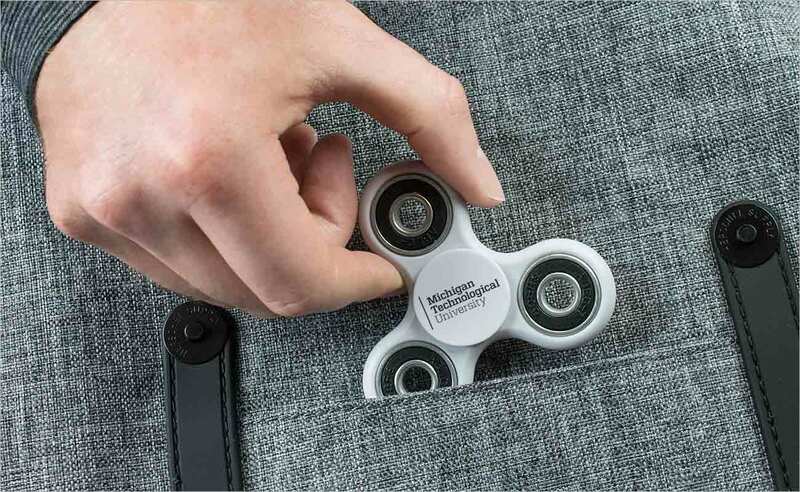 Indeed, it has been reported that Fidget Spinners can serve as an aide to reduce symptoms of those suffering from ADHD and Autism, consequently improving results in the classroom, as well as providing relief from stress. If you are interested in any of our Fidget Spinners, or indeed any of our other products, please fill out our Quick Quote Form and a dedicated Sales Account Manager will be in touch with you shortly.